China’s caravaning and camping market is growing steadily and experiencing a promising boom. 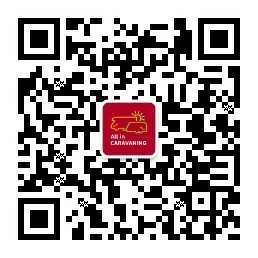 This is also benefiting All in CARAVANING, which will be held at the Etrong International Exhibition & Convention Center in Beijing from 14 to 16 June 2019. This eighth event –which is the leading trade fair for campervans and caravans in China – is expected to see another increase in exhibitors (previous year: 700 exhibitors, including campsite exhibitors) as well as an expansion of the exhibition space to around 37,000 square metres. “We are very pleased about the development of All in CARAVANING, which shows the rising interest in this type of holiday among the Chinese population. Our trade fair strategy puts us in an excellent position, and we are therefore full of optimism about the forthcoming AIC. Moreover, as there have been ongoing improvements to China’s infrastructure, we believe that the Chinese caravaning market has amazing potential,” emphasises Stefan Koschke, Global Head of Caravaning & Outdoor. as well as an appreciation of excellent consumer goods. One area that will be specially boosted is the AIC complementary programme, with a wide range of activities for the entire family. Visitors can look forward to a great programme with plenty of hands-on activities, as well as fun, games and lots of must-see ideas. “All in CARAVANING has developed into the most important platform for this way of spending your holiday and leisure time – something which is still relatively new in China. This is why we want to use the experience and expertise we have acquired as organisers of CARAVAN SALON and help companies in the recreational vehicle industry in growth regions. Working with our partners, we have adapted this exciting trade fair theme to Chinese requirements and expectations,” says Koschke. This is the first year that the AIC will feature two special thematic areas that met with an outstanding response in Düsseldorf: the Dream Tour Cinema and the Starters’ World.Another new element will be the AIC School, where visitors can find out more about caravaning culture and the technical operation of vehicles and accessories. vehicles as well as a complete range of accessories, equipment, travel destinations, campsites and motorhomes sites. Last year the trade fair reached a new record, attracting 250,000 visitors. Next up:AIC 2019 visitor pre-registration is opening now!